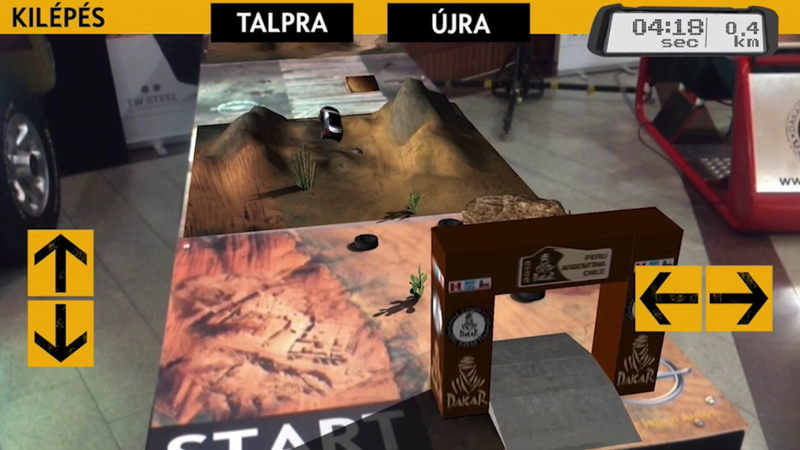 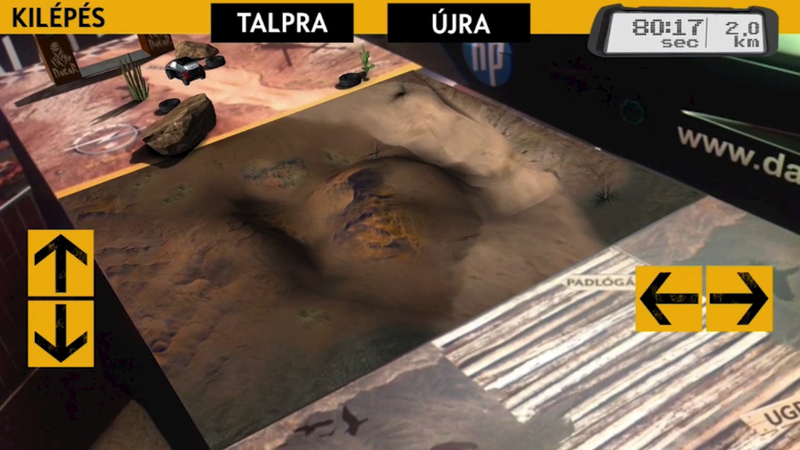 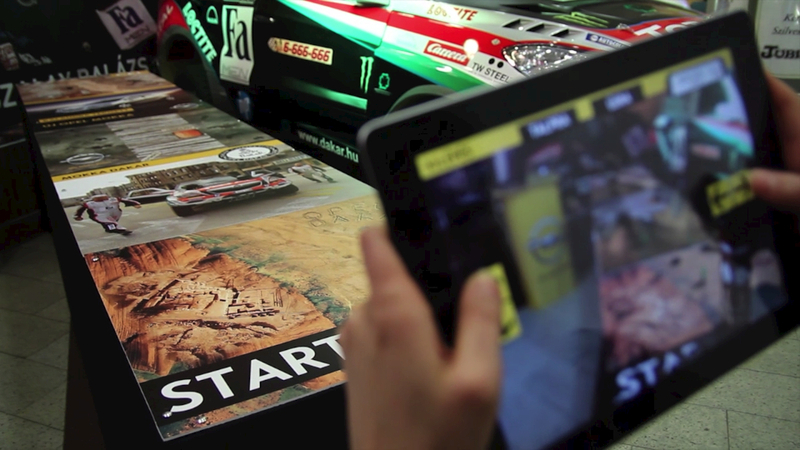 The course consisted of 5 parts – 2 of them was fully made in 3D in AR – the other 3 was printed on the table, and only small additional obstacles (cactuses, tyres, rocks) were added in AR. 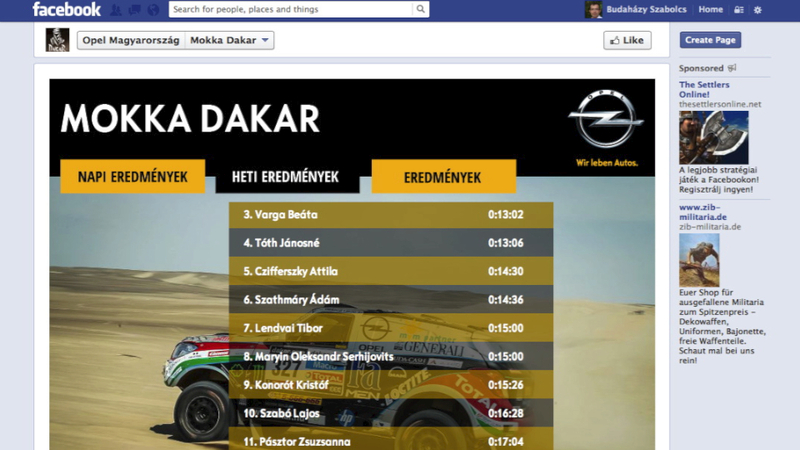 At certain parts of the course, there were two alternative routes – with its own advantages – so the drivers, like in the real Dakar race, had to choose. 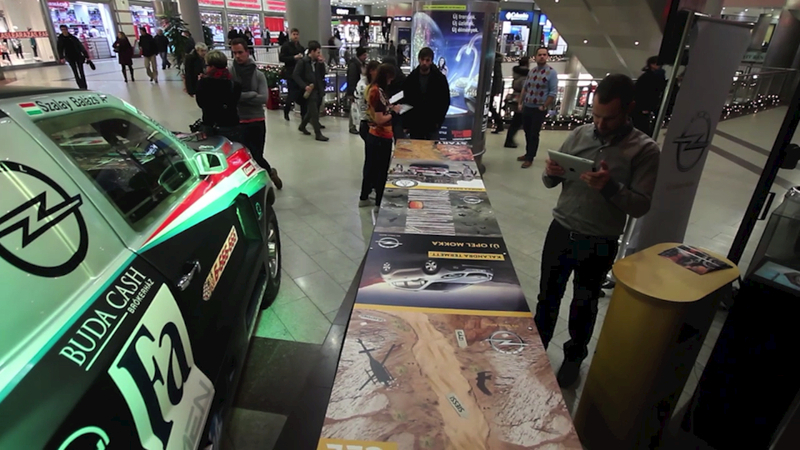 The car acted like a real 4 wheel drive car in a real situation – it could stuck, turn over or jump long distances if it had enough speed.